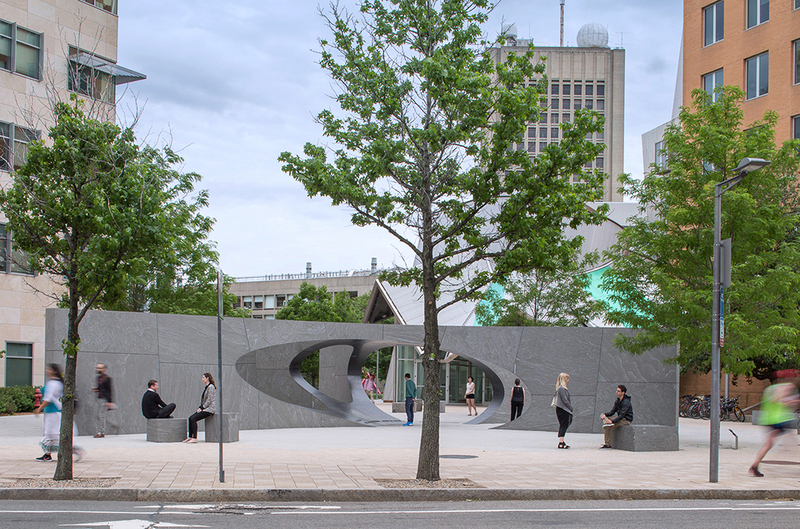 Jury comments: This incredibly well-crafted and poetic memorial to one of the fallen heroes of the Boston Marathon bombing reinterprets traditional monument typology. 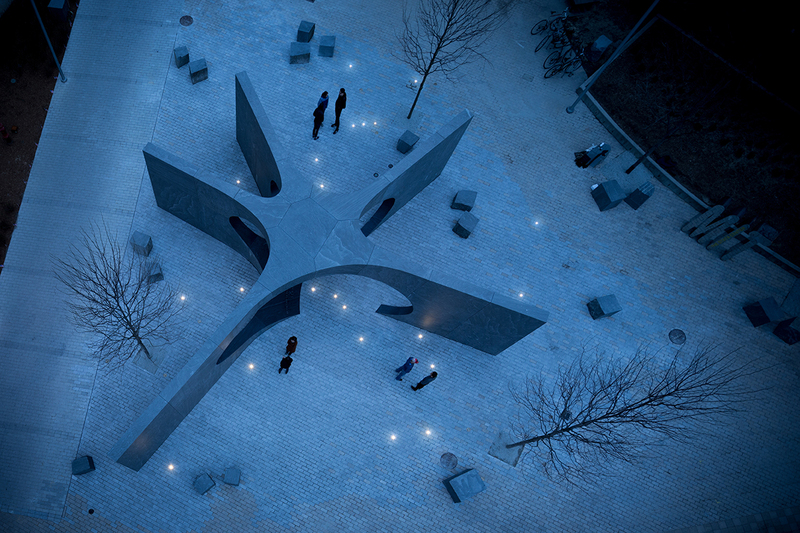 Created during a moment when the city longed for connection and healing, the design responds with rare profundity. 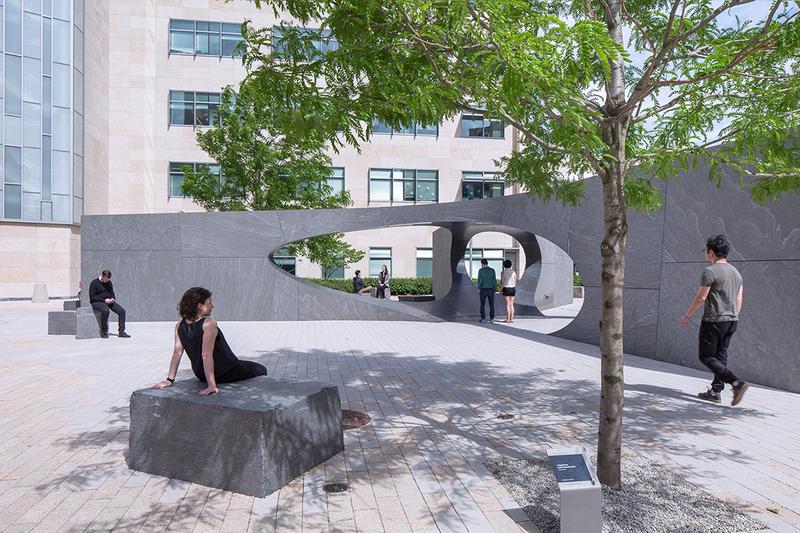 Its open and almost delicate form is composed of 32 monumental pieces of polished granite. 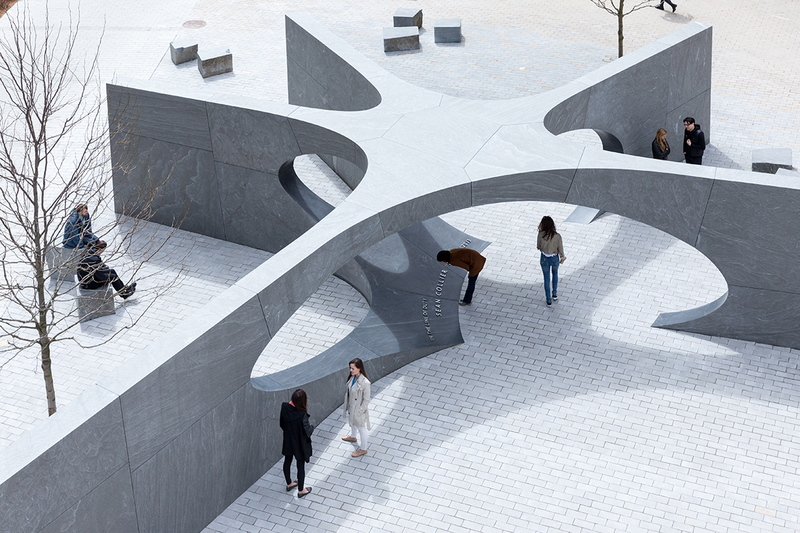 Visitors experience a visceral reaction as they pass through it. This is a moving and powerful tribute, addressing terrorism and affected communities with compassion and optimism. 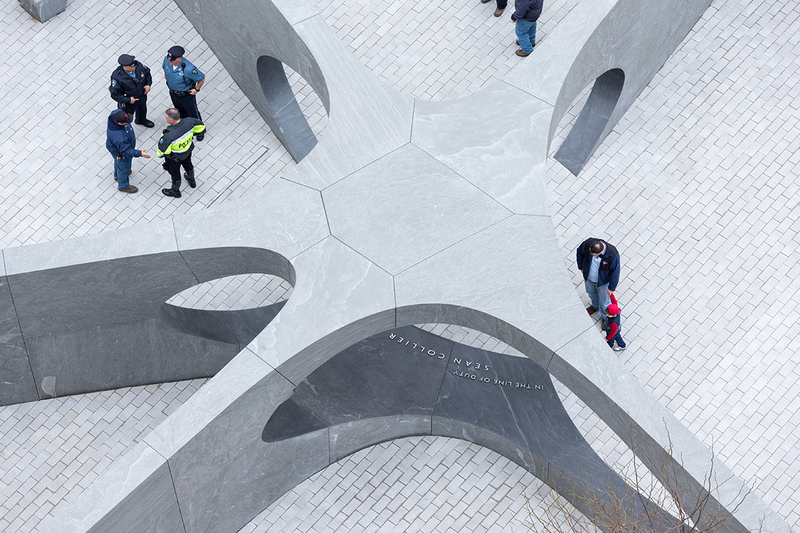 So many people driven by deep emotional connection to the murdered officer collaborated with the architects on this project—police colleagues, university employers, family, and community members—that the memorial could have become diffuse or bland from overreach. Fortunately, an architect working with great depth and intelligence was charged with assimilating wide-ranging ideas, goals, and passions. They attained astonishing continuity from concept through execution. The result is sublime.